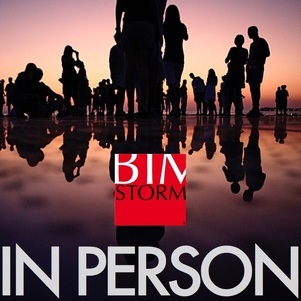 BIMStorm Enlighten is a regular series of short videos, a few minutes each, that introduce a single topic. This is a "live" map of projects being worked on and submitted to this BIMStorm. As teams submit project for review they will show up on this map. 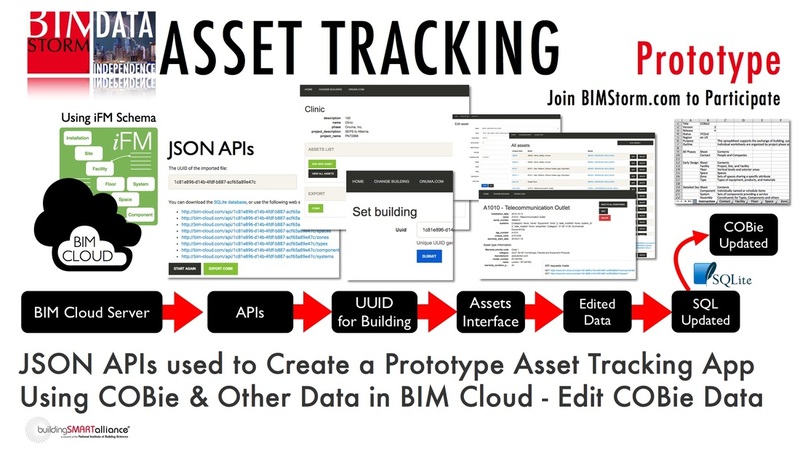 There are open APIs to allow developers to extend the functionality. 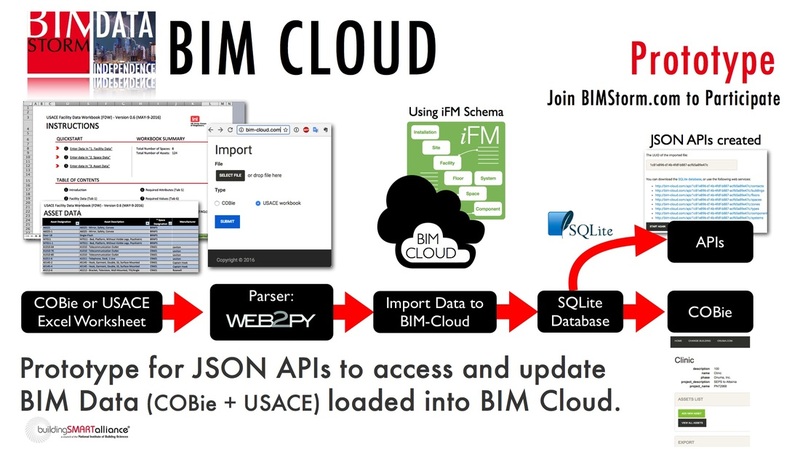 Sign up for BIMStorm to create your own project and get access to all the data. 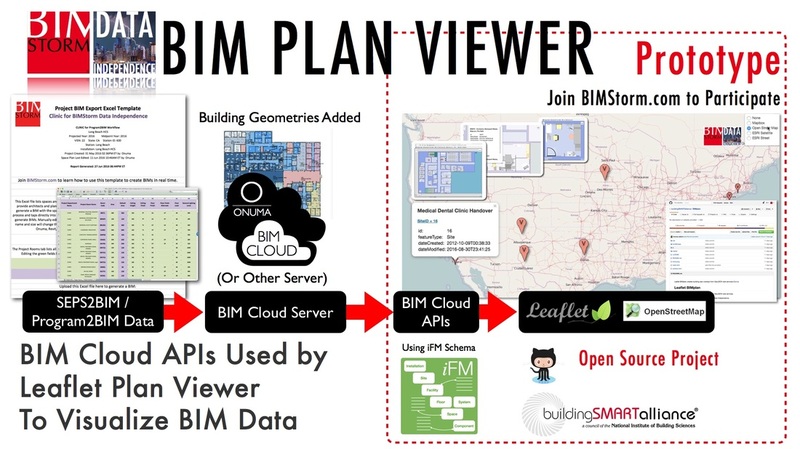 The map is a new open source prototype project of the buildingSMARTalliance and uses GeoJSON, Leaflet and other technologies to merge BIM, GIS and FM data. 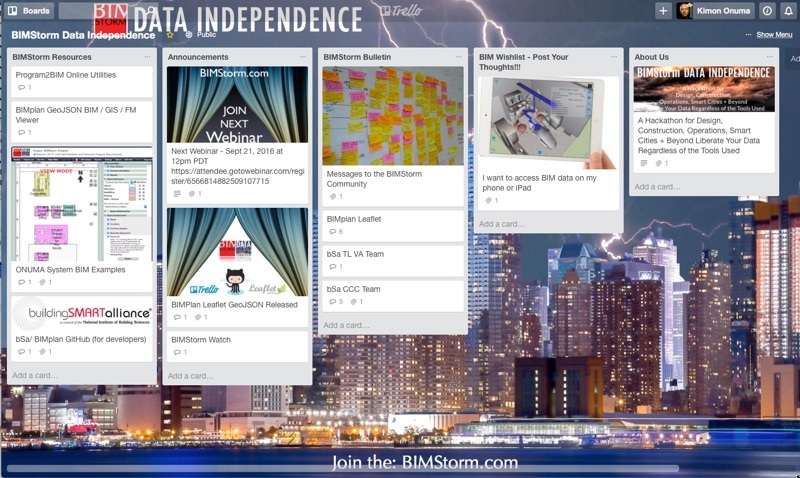 Trello is being used to organize the BIMStorm with links, messages, and news. ​It is open for public viewing.